Readers of this blog may already know that here at Barkzilla, we take Halloween VERY seriously. Now that Labor Day weekend has come and gone, it's time for us to start preparing! 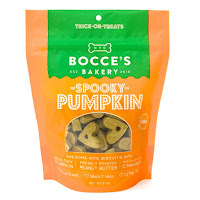 Much to our delight, this year several dog treat manufacturers are releasing special Halloween themed treats! YUM! While pumpkin seems to be the predominant flavor, we are such suckers for holiday packaging and there are some of the best from our favorite brands! 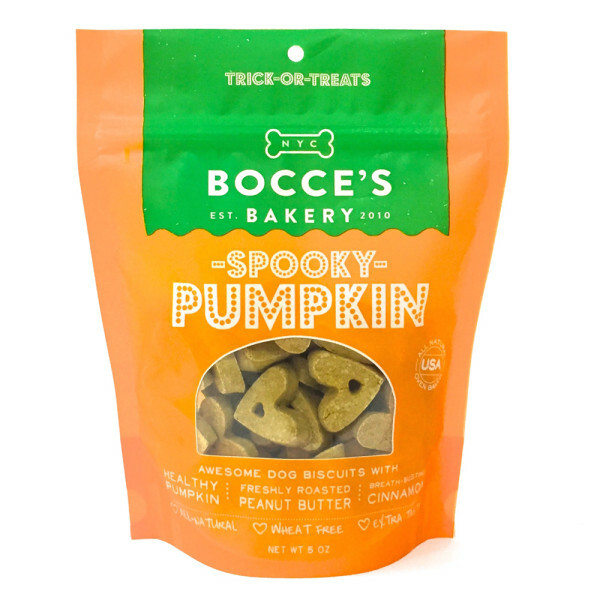 We are HUGE Bocce's Bakery fans and are thrilled to see they've released a limited-edition Spooky Pumpkin flavor for Halloween! 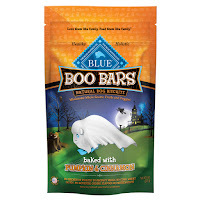 These treats are all-natural and feature pumpkin, peanut butter and cinnamon. 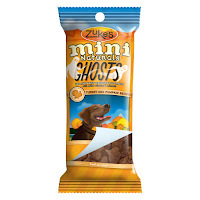 These super cute little mini Ghost treats from Zuke's come in ghost shapes and are perfectly sized to work as training treats. Made from their turkey and pumpkin recipe, these little snack packs would make super cute trick or treating treats for the dogs in your neighborhood that won't break the bank! 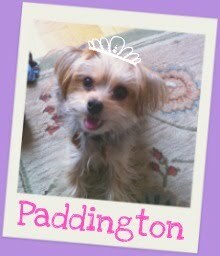 $2.29 for a small pack at Petco. 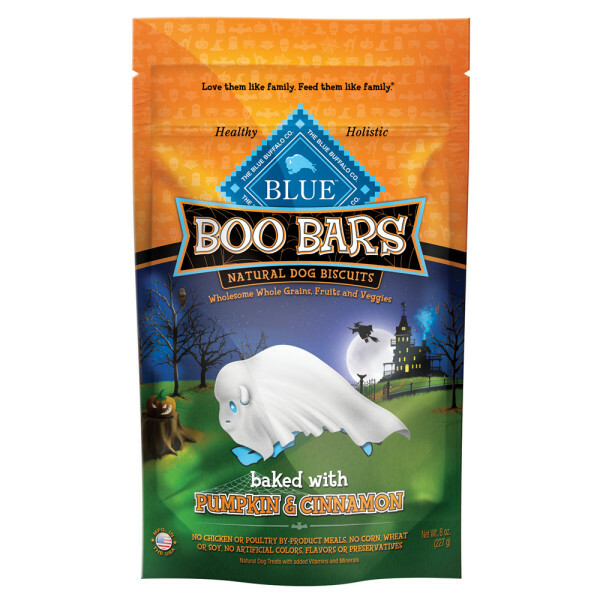 These Boo Bars from Blue Buffalo don't have any scary ingredients in them. Baked with pumpkin, carrots, oatmeal, barley, flaxseed and cinnamon, these treats are healthy and crunchy! $4.99 from Petco or Chewy.com. Pumpkin spice seems to be the flavor du jour and is everywhere! 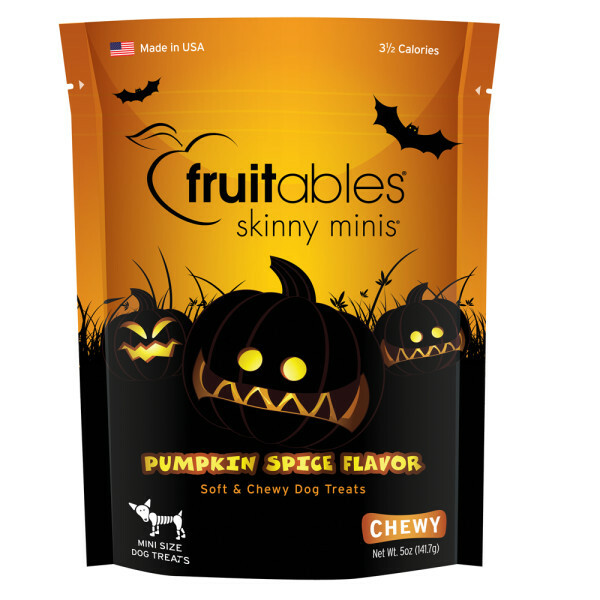 Fruitables is jumping on the bandwagon this year with their Pumpkin Spice Skinny Minis. Will 2.5 calories per chewy treat, they're great for training and little in-between meal surprises. 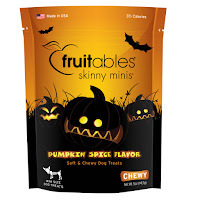 Do you spoil your pet with Halloween treats?